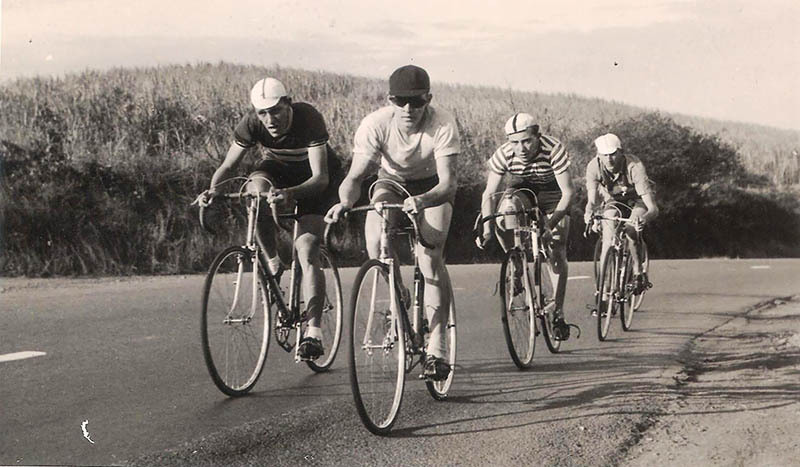 Cycling stalwart Geoff Waters got in touch a while ago to say that he had just put the finishing touches to a short history of the Mayville-Kings Park Cycling Club and asked if we would be interested in hosting it on the site. The project was begun by Bob Turk and continued by Dave Huckett while Geoff was responsible for the editing, footnotes and adding a few items. Originally designed to be A4 in size, the booklet was a bit large for our web server so I reduced it, redid the layout and here, finally, it is. Kings Park Cycling Club members racing up the hills in the early 1950s. Interesting reading and thanks for taking the time to post this. My knowledge of cycling is confined to my knowledge where the cycling stadium is. It is sad to read, like so many other institutions nurtured over so many years with so much time and effort put into them, that have run their course and now are becoming distant memories. Well done to those that put this history together so that the history will not be lost.